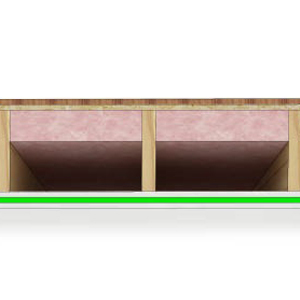 There are a couple of reasons to consider a floated ceiling- maximum soundproofing of airborne noise, and significant reduction in impact/footstep noise. 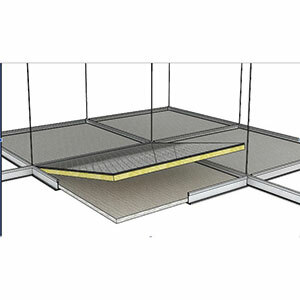 In many projects footstep noise is the complaint, and we can’t remove the floor above to use an underlayment, so we must use a system for the ceiling below that will provide excellent results. We also run into projects where very loud noise is on one floor (home theater, studio, commercial tenant that has a noisy business), and we want peace and quiet in the other floor. We don’t do one-size-fits-all solutions, as you already know. There are several methods that can be used to float your ceiling, information is provided below to explain these in a little more detail. For residential and commercial projects with reasonable noise and footstep problems, sound isolation clips can be the right solution. Sound isolation clips provide a simple, reliable solution without changing your ceiling height very much. We offer the most recognized products from PAC International, Kinetics Noise Control and Resilmount, and we will match the right product with your specific project. More about sound isolation clips here. 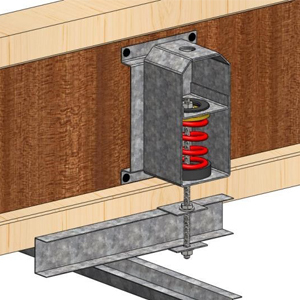 Projects that include a home theater, restaurant or bar under residential, or a hard tile floor in multi-tenant builds may require a Spring Isolation Hanger System. Spring Hangers will support several layers of drywall to provide the benefit of more weight for STC improvement, and more vibration absorbing than sound isolation clips, to combat loud, low frequency noise in both directions. Our most common spring hanger projects are in retail and residential buildings where the residential buyers will not put up with loud noise from the companies below. Large drywall manufacturing companies offer a variety of suspended metal grid systems that can support the weight of heavy drywall ceilings. 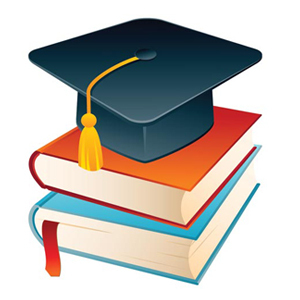 Many of these systems are installed with wire or metal rods that are directly attached to the building structure. These hard connections will transmit low-frequency vibration (noise) from above and below. 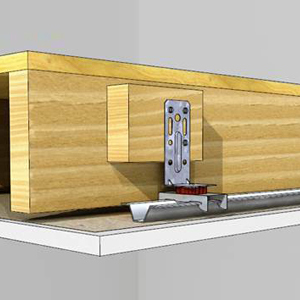 By using some simple isolation hangers that can be inserted between the floor joist and the metal grid, the transfer of vibration/noise will be reduced considerably. The simple hangers work for office ceilings as well.